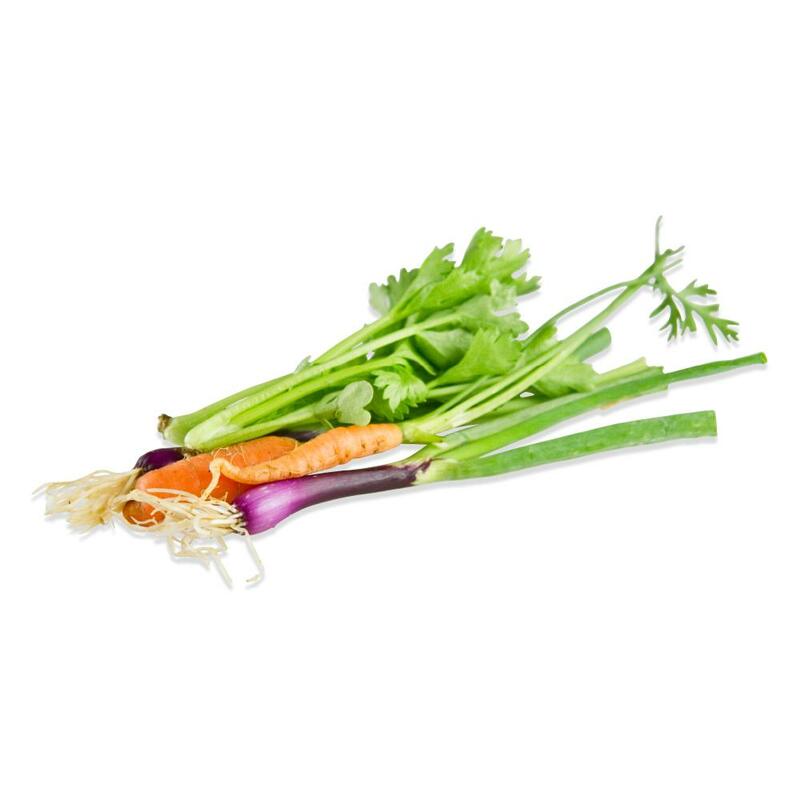 Mirepoix is the classic French blend of aromatic vegetables used as the foundation for stocks, stews, soups, sauces, and other elements of French cuisine. Store Tiny Veggies™ in your refrigerator in their plastic clamshell. To tenderize Tiny Veggies™ and brighten/set their colors, try briefly blanching them in boiling water just until tender, then immediately plunging them into an ice water bath to stop the cooking process. See how to blanch Tiny Veggies™ for more details. After blanching they can be served cold or reheated by sautéing or glazing them with reduced stock or melted butter heated in a small frying pan. 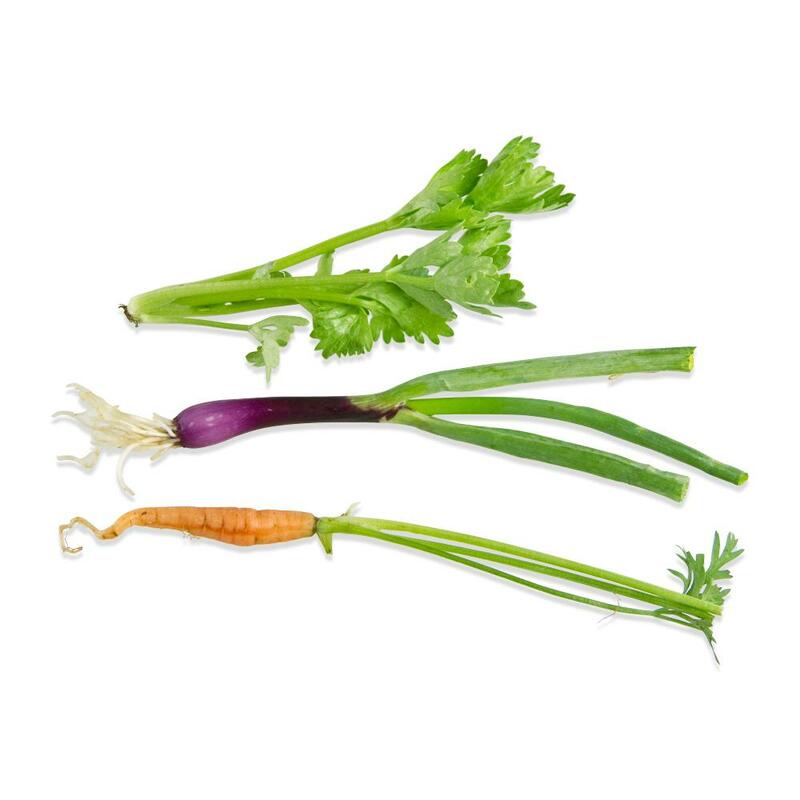 The mirepoix mix can also be served raw (as part of a crudités plate).